How significant is the loss of SpaceX’s Falcon 9? CAPE CANAVERAL, Fla — Approximately 139 seconds into Sunday’s flight of SpaceX’s Falcon 9 v1.1 booster, its payload of the Dragon spacecraft and the 4,000 lbs (1,814 kg) of cargo it carried disintegrated as the rocket exploded. The multi-million dollar mission ended in a rain of debris into the Atlantic Ocean. This marks the first time that the company’s Falcon 9 has encountered such a failure. Historically, how significant was this accident? 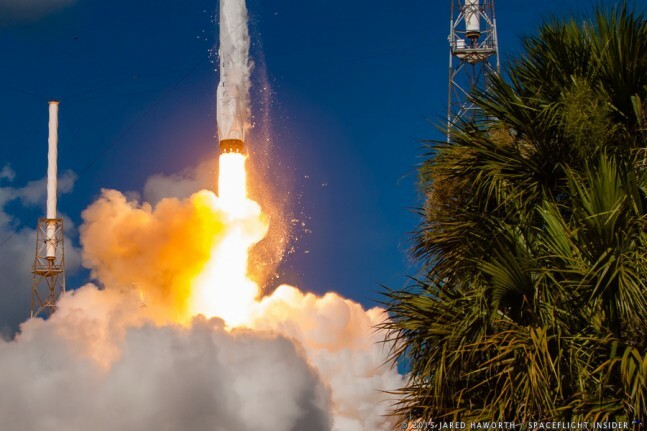 Up until now, SpaceX’s Falcon 9 has only encountered one prior, minor anomaly in the eighteen times that the NewSpace firm has utilized the launch vehicle to send an array of payloads to orbit. This occurred during the October 2012 CRS-1 mission to the International Space Station. During that flight, while the secondary payload of the Orbcomm OG2 satellite was essentially a loss, the primary payload, the Dragon spacecraft, successfully reached the International Space Station. A comparison of two launch vehicles employed during the early days of the Space Age helps to provide perspective in terms of this failure. The Atlas booster was designed as an intercontinental ballistic missile in the late ’50s by the Convair Division of General Dynamics. During the first year that the Atlas launch vehicle took to the skies, 1957, the rocket was launched three times – all three flights were failures. The following year, 14 of the boosters were launched – and six of those ended in failure. During the same amount of time that the Falcon 9 has been in service, five years, the Atlas booster encountered 48 failures out of 105 flights – achieving a success rate of about 54 percent. The Titan I and II rockets were first launched in 1959. In its first year, the rocket flew six times, encountering two failures. In the following year, it was launched 21 times – six of which ended in failure. During its first five years of service, the Titan booster encountered 18 failures out of a total of 91 flights – a success rate of about 80 percent. 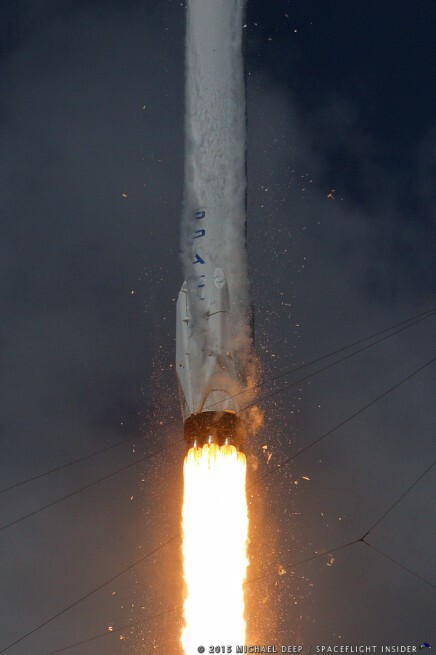 In its first five years, the Falcon 9 has a success rate of 18 out of 19 missions – or roughly 95 percent. There are an array of differences between the Falcon 9 v1.0 and v1.1 launch vehicle than these older boosters. The Atlas and Titan were developed as intercontinental ballistic missiles (ICBMs) more than 50 years ago, whereas the Falcon was developed by a private company for commercial purposes in the past decade. Both Atlas and Titan were launched numerous times between 1957-1960 and SpaceX has only launched the Falcon 9 a total of 19 times during its first five years of service. Gaining an understanding as to how much either the early iterations of the Atlas or the now-retired Titan cost and then comparing those to the Falcon 9 is problematic. This is not the first time that Shotwell has been asked about the cost of the Falcon 9 and she has been consistent in her answer to this particular question. Proportionally, the cost to design, develop, and produce the Falcon 9 is likely to be less expensive than the costs incurred during the development and first years of operation for either the early Atlas or Titan boosters. For its part, NASA has thrown strong support behind the thirteen-year-old company. Just last year, the Space Agency signed a 20-year lease with SpaceX for the use of Kennedy Space Center’s Launch Complex 39A – the historic site where men first left Earth for the Moon. Stay tuned to SpaceFlight Insider for more updates regarding this ongoing story. Comparing 50s era flight heritage of Atlas with aught and teens Falcon is hardly illuminating. The aerospace engineering in the 50s was fundamentally different than it is today. Without computers, modeling, CAD, CFD, etc., developing a launch vehicle required test flights and failures. Comparing failure rates of such fundamentally different eras is like comparing the DC-10 to the Wright Flyer. Apples to iPhones. Ad Astra – you probably should read the story before posting comments – the author notes the issues you mentioned. My guess, this is to just to provide a historical perspective. It is interesting that we just past the 58th anniversary of the launching of the very first Atlas test flight… which was a failure. But as has been mentioned, there is a big difference between developing rockets during these earliest days of the Space Age and today. Nonetheless, failures in new rockets are not uncommon and even occur with well established rockets. In fact, the first Delta IV Heavy launch in 2004 failed to reach Earth orbit due to a Common Booster Core issue even though the design had flown three time earlier as the Delta IV Medium. And the Centaur stage of an Atlas V 401 launched in June 2007 experienced a problem resulting in its payload being left in a lower than planned orbit. This despite the fact the Atlas V had flown nine time before and the Centaur (in its various incarnations) has a good success record stretching back a half a century. Bottom line – failures happen even to well established players like ULA. The other factor is how much of the launch vehicle is clean sheet vs legacy. F9 is virtually all new development breaking ties from the past suppliers. This includes valves, actuators, avionics h/w, s/w and engines. This gives us a huge opportunity to develop hardware without any legacy costs/limitations however requires a certain period of burn in to verify corner cases and unknowns are covered even if man rated by design. Like i’ve said in the past given this case it is a triumph that a clean sheet medium lift vehicle can fly 18 times from the start without a major issue. This is only possible because of modern engineering and manufacturing. NASA expected to lose vehicles in commercial cargo given this reality as well. The whole point is to wring out the bugs on cargo to build a very well tested and affordable vehicle for commercial crew. But wasn’t this a second stage problem and not a Falcon 9 problem? The second stage – is the second stage of the Falcon 9. The payload was significantly more valuable than usual. The spacesuit alone cost $15 million to manufacture and the unique water system must be reconstructed from scratch while the ISS will continue requiring more water launched. I think the impact will depend on the cause. Worst for SpaceX would be if the landing system caused the failure. E.g. if the grid fins deployed during launch. Best would be if the docking system in the payload came loose and NASA is to be blamed for that. A failed oxygen tank in the upper stage sounds quite neutral to me. That sounds unlikely. They’d have to deploy against the lessened, but still significant aerodynamic pressure acting in the opposite direction of their deployment. I’m not even sure the fin actuators are capable of that. Deploying against the airstream is something they probably weren’t even designed for. You might have more luck with the legs here, but I didn’t see any legs getting deployed for any reason, at least when the incident began. Let’s just hope SpaceX officials learn some humility the next time they launch an F9, regardless of the payload. At least it throws open the second phase of the CRS contracts – if ISS isn’t jeopardized further. I think that for an honest comparison, it’s worth looking at the Ariane 5 development record. The inaugural flight in 1996 ended with a catastrophic failure due to a computer problem and a few years later, a satellite was stranded on an useless orbit due to fuel contamination of the upper stage. The first flight of the upgraded Ariane 5 ECA with a cryogenic upper stage failed in 2002 due to a main engine structural issue but since then, all the other 48 flights were picture-perfect. It is worth noting that Ariane 5 ECA was selected to launch the James Web telescope instead of ULA’s Delta 4 Heavy because the latter (7 out of 8 ) couldn’t match that long series of consecutive successes, which is a guaranty of success for NASA’s most expensive scientific satellite ever – more than eight billion dollars and counting. For the record, the most reliable rocket ever is the Delta 2 (151/153) with a string of 98 consecutive successes. RUD (‘rapid unscheduled disassembly’) is still a very real possibility every time a rocket flies, because efficiency dictates that it has to work close to the limit of explosion. I think it’s also valuable to note that SpaceX is a Private commercial company, and not a country. Entire countries have problems with space flight, so I’m not entirely suprised that a private company would have an incident like this. Comparing this to automotives, I don’t remember hearing a lot about recalls back in the 70’s, and I suspect they were even less common in the early stages of automobile development. Cars get more advanced and more complicated, and now we have lots of recalls every year. Rockets are certainly a lot more advanced nowadays than they were in the early days of rocket development, so maybe we should expect some flaws in the vehicles. I still think SpaceX is doing an amazing job of pushing the boundaries and coming up with some very interesting developments. I wish them a speedy recovery from this incident. I’m quite certain that they will come back better and stronger.